New Jersey’s 230,000 plus women-owned businesses, the 260,000 plus jobs they have created, and the roughly $45 billion they contribute to New Jersey’s economy are a vital, and growing, engine driving growth in the state. According to a recent study by American Express that ranked the “economic clout” of women-owned businesses in each state, New Jersey ranked 41st. While women have made substantial strides at work, at home, and before the law, the fight for gender equality is far from finished. Josh will be at the forefront of the first for equal pay and parity in the work place. As a husband and father to a six-year-old daughter, he understands the success of women directly affects the strength of our economy and America’s working families. 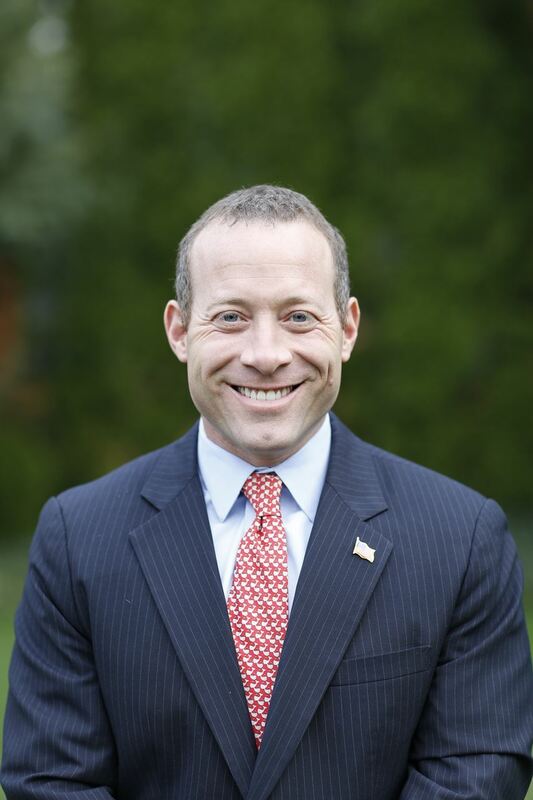 Josh Gottheimer is a candidate for Congress in New Jersey's 5th district. Josh started his career in public service as a speechwriter for President Bill Clinton. Prior to announcing his candidacy, he was General Manager for Corporate Strategy at Microsoft. Josh has also worked at the Federal Communications Commission as its first Director of Public-Private Initiatives, Director of Strategic Communications at Ford Motor Company, and Senior Advisor to the Chair of the U.S. Commission on Civil Rights. .
Josh lives in Wyckoff, NJ with his wife Marla, a former federal prosecutor, and their two young children Ellie and Ben. Josh graduated from the University of Pennsylvania and received a Juris Doctor from Harvard Law School.